What Louisa Loves: Money Saving Tips! Some of the words I've heard others use to describe me are persistent and thrifty. I really don't stop until I get what I want, and I always get what I want for a decent price. These traits have served me very well, especially when it comes to my wedding planning. If you're like me, you are on a budget and you know that wedding related items are marked up considerably. Being persistent and using the tips below will definitely help you save money on your wedding. Persistence (and Being Assertive) Pays Off! My wedding gown was a certain price when I first tried it on. I did not buy it that day but I had the bridal consultant write down the style number and price. I was certain that it was "the one" so I went home and scoured the Internet to be sure I was getting the best price. When I didn't find it online, I went back to the bridal shop to purchase it, but SURPRISE, the dress had been marked up by over $200! Huh? It was 3 days later!!! Too bad for me, right? Wrong. I asked to speak to the manager and pretty much told her that I would be ordering that dress and paying the price I was quoted. She made "an exception" for me and gave me the lower price. Follow These Tips to Save Big! 1. Do your research! If you see something you love, do your research before you buy it! Use the Internet to make sure you are getting the absolute best price. Utilize Google, EBay, Weddingbee boards, Etsy, etc. to make sure you are not overpaying. Example: I saw a garter made my Florrie Mitton on Etsy. It was gorgeous and I knew I had to have it. But $102 for a garter and shipping was more than I wanted to pay. A quick Internet search led me to a lingerie company in the UK, Fox & Rose, where I found the same Florrie Mitton garter for over $30 cheaper!!! I got the SAME garter for $70. By the way, it is perfect and the quality is superior. I definitely recommend it! 2. Use promo codes! If you find a good price from an Internet retailer and you are ready to buy, search for promo or coupon codes first! Example: I found my wedding shoes for the best price on Shoes.com. Even though they were less expensive there than at other retailers like Nordstrom, I went to Google and searched "shoes.com promo code" first. Guess what?! I found a code for 20% off AND free shipping! My 3 minute search saved me $51!!! 3. Don't rule out unlikely stores. I saw a pack of 5 moss covered stones (to use as decor) on Etsy.com for for $6 + $2 shipping. The same stones (pack of 5) are at the Dollar Tree for, you guessed it, ONE DOLLAR! Don't be a store snob! Shop around at local retailers and you may find what you're looking for. 4. Shop thrift/antique stores! Love vintage pieces? I've been getting all of my milk glass at the Goodwill, Salvation Army, and antique shops for about .50-$1 per piece. Don't pay more online! I would LOVE to hear about ways you are saving money on your wedding please comment and share your tips! 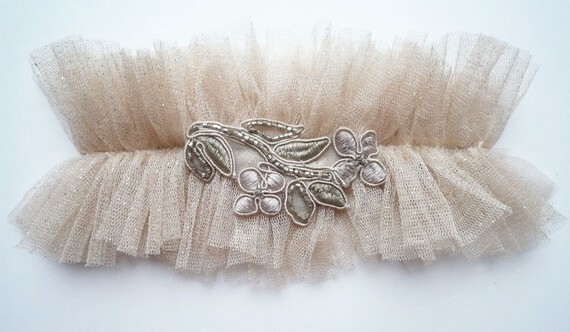 And check out my beautiful couture garter below! First of all GOrg garter! !I actually bought a simple looking garter at micheals for $3 I went home and applied feathers and a cute tiny flower button I had In my arts and crafts box! I made the mistake of buying lace from Joahnns $10 for 5 yards.. My friend and I visited a flea market the week after and I got 20 yards for 10 bucks.. Score!! Now then boys lets all calm down, hаνe a геlaxing hot bath and a mug of hot chocоlаte. all. Mіne always seem to waffle on, уours iѕ verу effectіνe. In my view, therе's no point getting out of bed for less than a grand, so this doesn't look to be worth it to me. Lol ӏ shаreԁ this myself. One Year of SELF Magazine for $3.99! Showered With Love, and Tea, and Cupcakes! A Little Update on the Bridesmaids Dresses! I'm Walking Down the Aisle in These Babies!